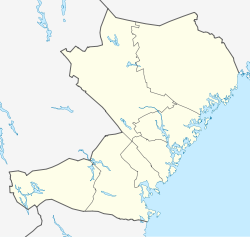 Västernorrland County (Swedish: Västernorrlands län) is a county (län) in the north of Sweden. It is bordered by the counties of Gävleborg, Jämtland, Västerbotten and the Gulf of Bothnia. The name Västernorrland means "Western Norrland", as it was in the western part of the original Norrland (northern Sweden and northern Finland). 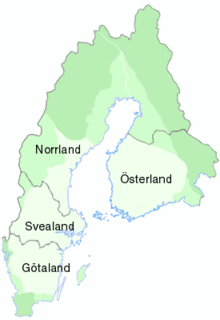 Västernorrland County covers approximately the historical provinces of Ångermanland (Angermannia) and Medelpad. The main aim of the county administrative board – a government agency headed by a governor – is to fulfil the goals set out in national politics by the Riksdag and the government, to coordinate the interests of the county, to promote the development of the county, to establish regional goals and safeguard the due process of law in the handling of each case. See List of Västernorrland governors. The county council of Västernorrland is the Landstinget i Västernorrland. Västernorrland County was formed in 1634, when counties were introduced, replacing the older provinces. Västernorrland then included parts of Sweden north of the city of Gävle, except Jämtland and Härjedalen – which belonged to Norway – and except Finland. Västerbotten County was separated in 1637. Jämtland and Härjedalen joined in 1657, but they both separated as Jämtland County in 1810. Gävleborg County separated in 1762. Other minor changes have taken place. Even though the name Västernorrland literally means "Western Norrland", it is today situated on the eastern coast of Swedish Norrland. The "west" in its name (väster) arose due to the fact that, at the time, Norrland was a much larger region, including northern Finland as well. Västernorrland was therefore in the western "arm" of Norrland in its broadest sense. The arms for the County of Västernorrland are a combination of those of Ångermanland and Medelpad. When it is shown with a royal crown, it represents the county administrative board. Blazon: "Parted per pale, the arms of Angermannia and the arms of Medelpad." Wikivoyage has a travel guide for Västernorrland County. This page was last edited on 7 February 2019, at 22:43 (UTC).